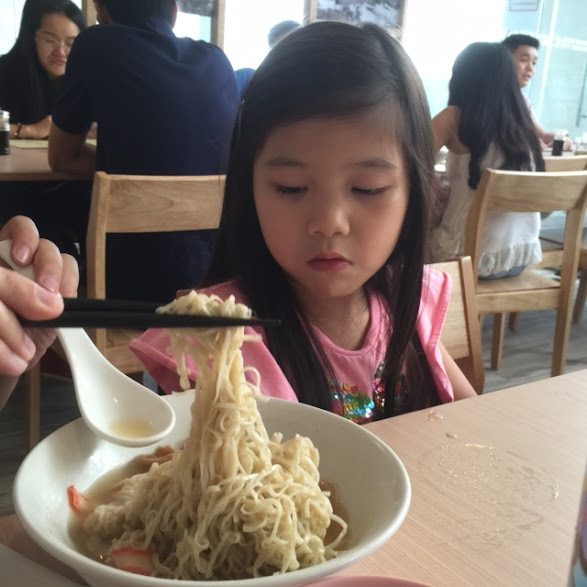 Wanton mee is a favourite Cantonese noodle dish in many parts of Asia. I have tried it countless times locally, in Malaysia and Thailand. 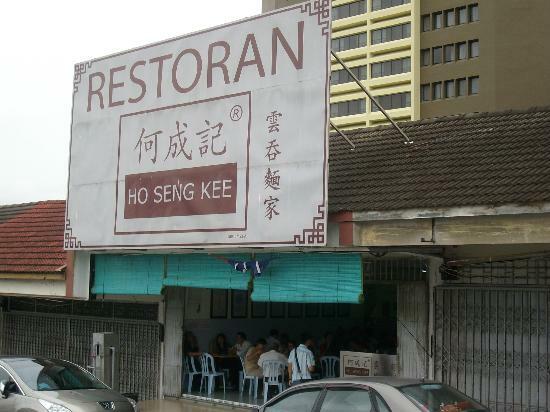 I heard my parents bragging over a restoran by the name of Ho Seng Kee which sells wanton mee. 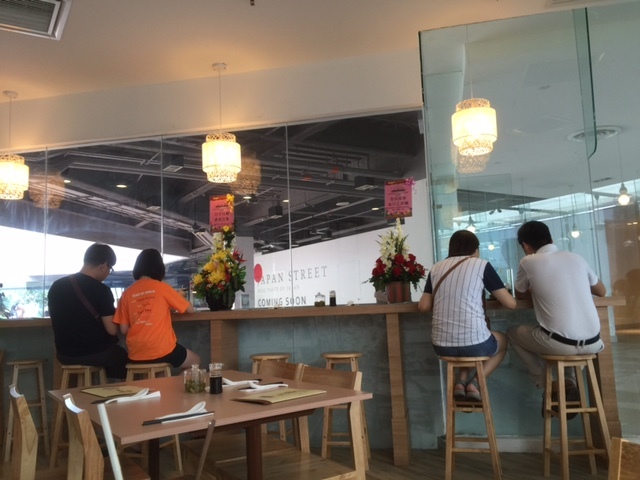 I was like, “Ok, anything special about it?” When I heard they had to queue up to half an hour everytime they made a trip down to taste the wanton mee it did raise my eyebrow. The Founder was the late Mr. Ho Seng (Full name: Ho Seng Kao), whom came from the Mainland China, Canton State, Jiang Men Province, Xin Hui County, Mai Yuan Village before World War 2. After settling in Johor, he started working under the Luo Family in Pontian. The Luo Family business comprises of Light Sauce Manufacturing & Retail and Noodle Making and Retail (The Luo Family has now stopped making noodle but continue selling Wantan Mee). 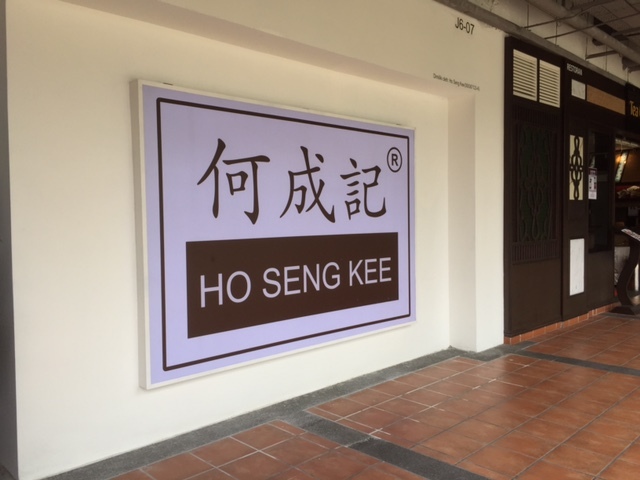 After acquiring the skills of noodle making and knowledge of of light sauce usage, Ho Seng Kao begins the noodle business in Johor Bahru. 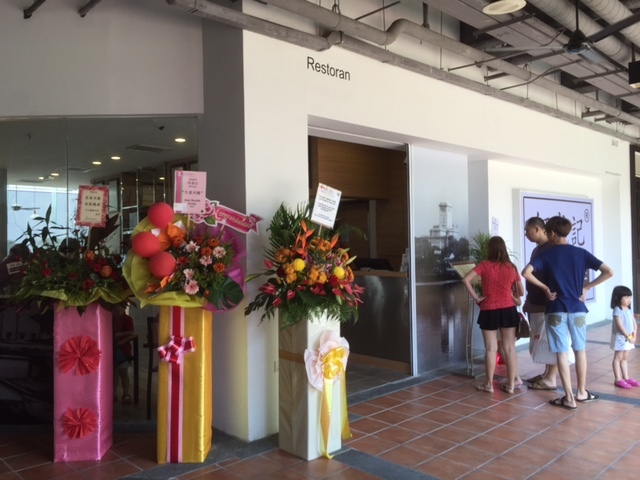 He setup “Ho Seng Kee”, with “Kee” as the norm jargon for small business and the rest is history. 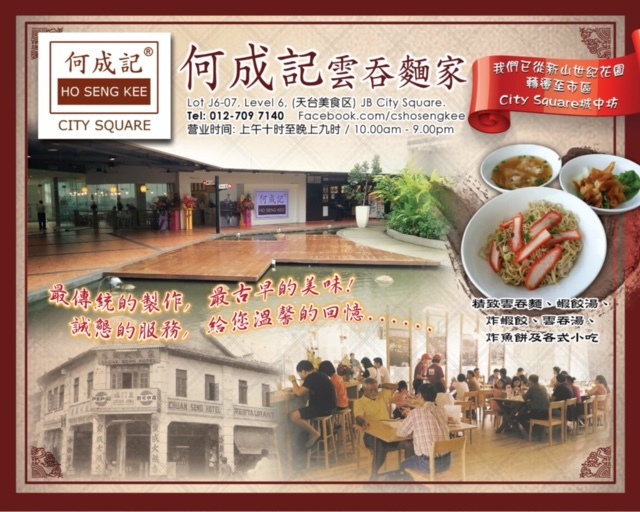 We finally arrived at Johor Bahru City Square and made a beeline to Restoran Ho Seng Kee. Their new location is definitely a stark contrast to the previous one. It is well-furnished, air-conditioned and with this brand new-look, it seeks to attract shoppers while trying to retain the loyal customers. 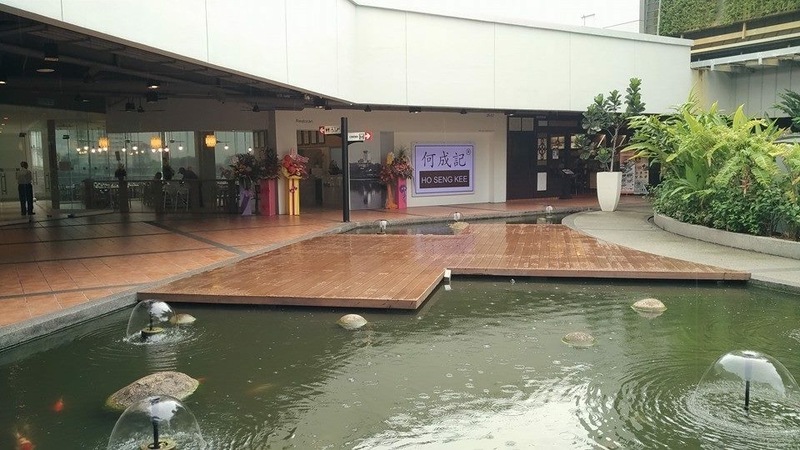 Not to mention the absence of mozzies as it is located in a shopping mall (LOL). This is a photo taken from the facebook website. We arrived around the late morning and having not taken our breakfast, it was almost impossible to control our hunger pangs! Alright, let’s start to place our orders. I noticed the store has many helpers. As such, you can be sure that you will be attended to immediately once you entered the place. 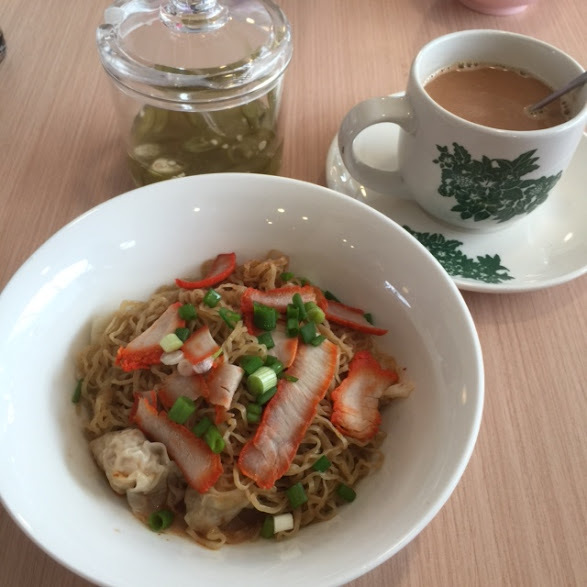 I opened the menu and placed orders on their signature dish, wanton mee, with soup-based and dry versions. 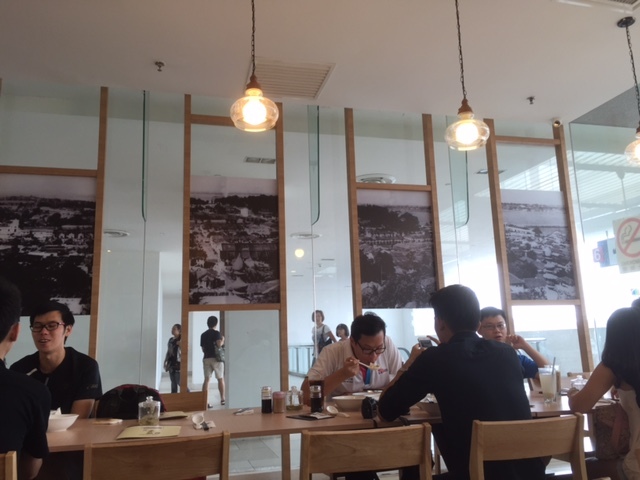 Fried dumplings, siew mais and my favourite coffee were ordered. I was told that their coffee would be served using 3-in-1 sachet. Bit disappointed as I was expecting freshly-brewed Malaysia’s styled coffee but oh well, I still went ahead with it. 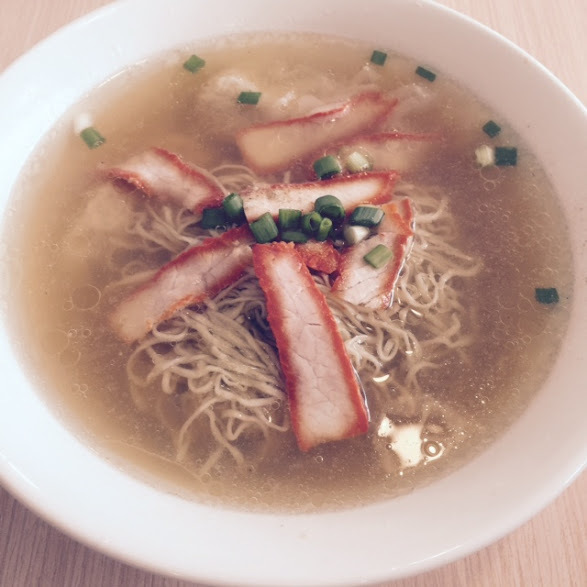 Here’s the real deal – Wanton mee soup. This is for M&Ms. They like to savour wanton mee together with the soup. 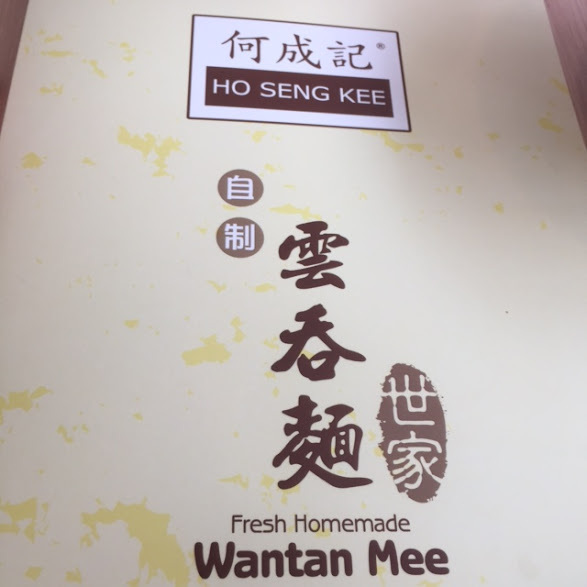 This is my order – the dry version of Wanton mee. The weather was warm and the last thing I would want is to take the spicy version. At least not for now la! The serving is not big. I can be a big-eater at times so this bowl of wanton mee can’t ease my hungry tummy. I will save my stomach for other delicacies in City Square later on. 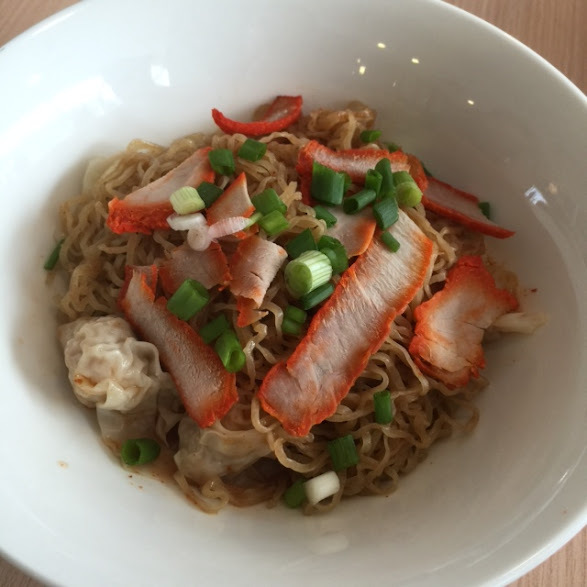 The wanton mee was springy and gave me a good kick. I must admit it was well-prepared. The char siew tasted nice but did not give me the “wow” factor. The dumplings were fabulous though. 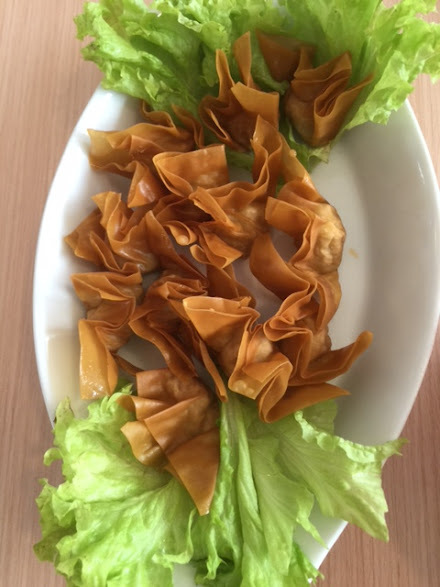 The deep fried wanton had crispy feel and were flavourful. This is the cup of 3-in-1 white coffee which I was a tad disappointed. I love traditional presentation. 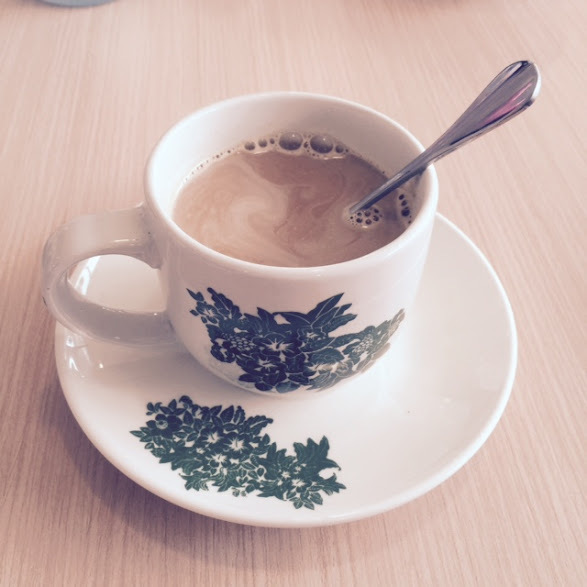 Serving in a traditional styled cup and saucer is pleasant to my eyes. This make up for it. 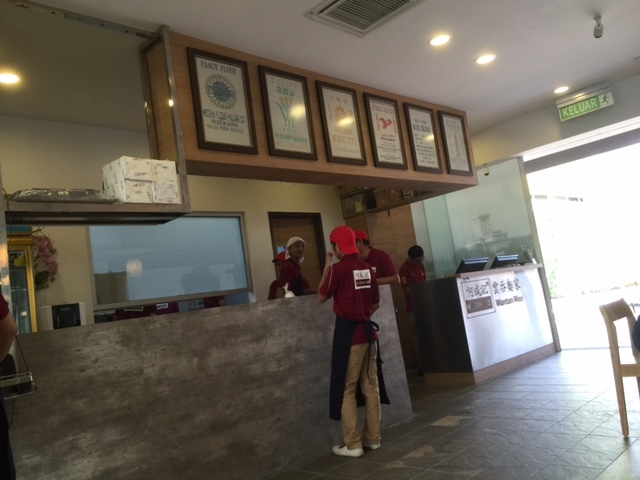 Their staff are friendly and responsive to customers’ requests. 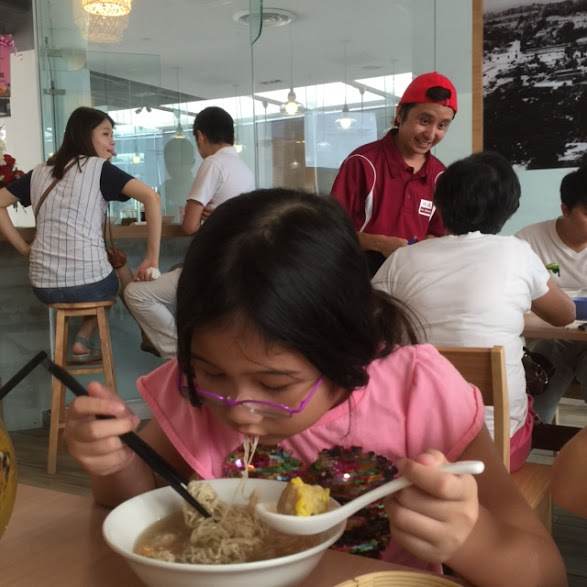 Big M enjoying her wanton mee. She commented that the dumplings tasted good!